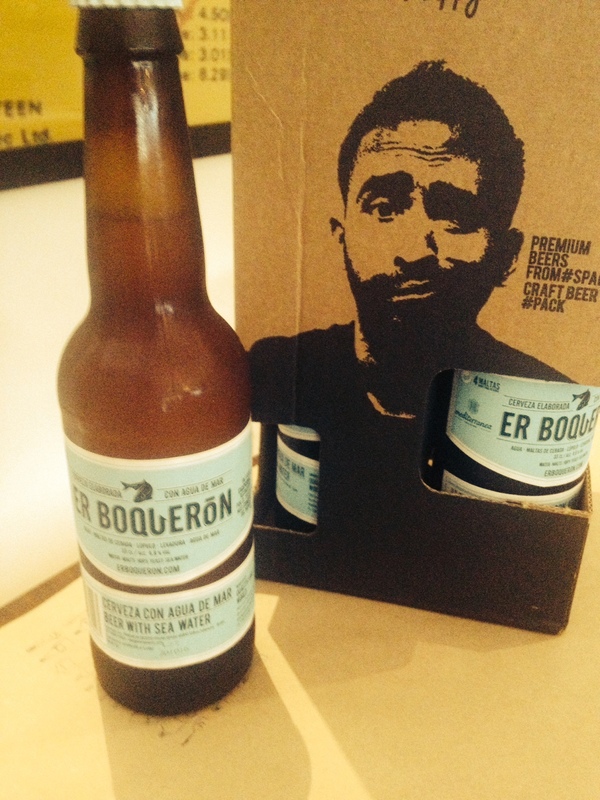 Er Boquerōn Cerveza – Almost Hang-over Resistant beer!!! Ever wanted to swim in beer? Well if you are like me and answered yes, then this may be just that beer. The Er Boquerōn Cerveza from Xativa Spain, just outside Valencia on the Mediterranean coast, use deep sea water for all of their brews – partially filtered and also partially desalinated. In using sea water the brewers are creating a beer with totally natural electrolytes that actually rehydrates you while you are slugging the goodness down. Genius!!!! The hangover might be there (after the 10th or 11th stubbie) but it’s not going to belt you around all over the place. Its great and hoppy and beery and you really do get the sense of the salt water kick, and quite simply tastes ACE and is $5.90 a single or $22 in an awesomely awesome 4 pack. I’m drinking one right now actually; don’t let the door hit you on the way out hang-over!!!! !